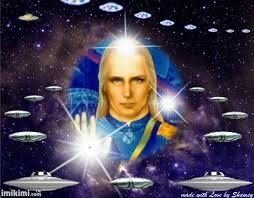 Dear beloved family of light, I Am Ashtar and I greet you as I watch over you all. I, or shall I say We, sit up above on our ships that take on many shapes, colours and sizes and we applaud you. You have been the shining lights upon Gaia for so long now, even if you haven’t felt as if your light has been shinging bright, trust me it has and it only grows brighter. As you embark on the year ahead know that there will be many upheavals across the planet. This will come in the form of natural events, political, financial and even in your schooling and education systems. And I do not say this to create fear dear ones, quite the contrary, as these upheavals are a major part in your evolution and growth. Because dear ones, you need to know and understand that all these systems are not based on love, they are not made upon the heart based interactions you are heading in to. This is an old ancient system of slavery and manipulation and it is time for it to all come crashing down. 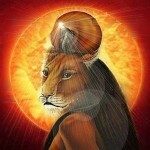 It has been decreed by Mother/Father God and Prime Creator that this system is to be no more. Done, kaput as you say! So in the coming year as the energies being sent forth from Creator intensify and the Mothers Tsunami grows in size, know that these energies are what will help wash away the old, the old system of patriarchy and control, it will herald in a new way of BEing, a new way of living and a new outlook on how reality really is. It is unconditional love dear ones, it is being of service to one another, not service to self as you have been tricked into believing. So in the coming months there will be waves of energy that will be sent forth and each wave will be gradually stepped up in strength. As you acclimate to one, another will be sent and so on until all is ready for the change over, the Great Change Over that it is now known as and that has been spoken of throughout the ages. You see, when this experiment first started, when it was decided to create a seemingly separate, individual form to see what it felt like to be separate from All That Is, this day also was already being planned. But it was up to those of you within the experiment, within the density of the physical plane, to decide whether or not this day would come. Would you see a day where all changed for the better or would you see a day where all was lost to the darkness, to the separation and war of egos? What do you think the outcome chosen is? Of course, the great changeover, from dark to light as you say. That day fast approaches now dear ones. As these coming waves of energy cause upheaval to all that was, know that on the other side of this is a bright future, the most grand of times is yet to come dear ones. 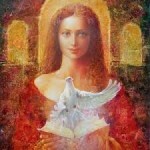 So as Archangel Michael has said, this will only be a time of turmoil for you if you let it be. You must now be very wary of where you focus your atyention as you do not want to become part of this turmoil. This is only going to be part of your reality if you are resisting change and clinging to the old ways of being and doing. 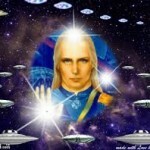 Can I see a raise of hands from the Lightworkers as to who wishes to cling to the old ways? No hands raised? As I expected (wink). So I leave you now with these words, to be wary and watchful of your focus. Stay in love, stay in the moment, be at peace within yourself and know that all is being orchestrated from a Divine perspective and only the best interests are intended. I Am Ashtar and we grow ever closer to you, as each day goes by we get closer and closer until the time comes where we will be standing there beside you in a more physical way. This time is now approaching. I love you dearly and I Am always a whisper away.